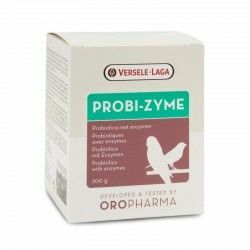 erti-Vit 200 grams of Versele-Laga. 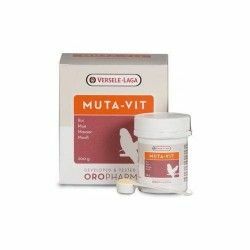 Vitamins, amino acids and trace elements. 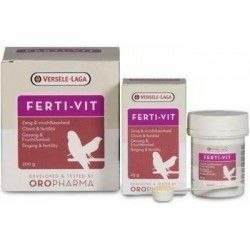 Versele-Laga Oropharma Ferti-Vit is a balanced blend of vitamins, amino acids and trace elements, enriched with vitamin E that is ideal for use during the breeding season, for the singing of canaries and finches and fertility sexual. 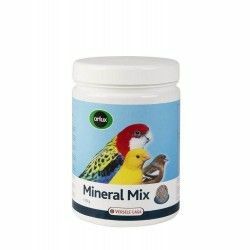 During the breeding season a bird needs an optimal blend of vitamins, amino acids and trace elements. 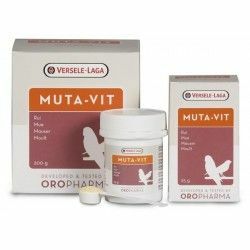 Vitamin E essential, also called the vitamin of fertility, which is a powerful antioxidant. 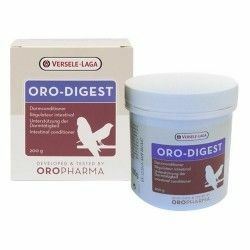 The combination of the components in Versele-Laga Ferti-Vit is not only optimal for breeding but also increases the resistance to disease and helps protect the heart tissue and muscle. 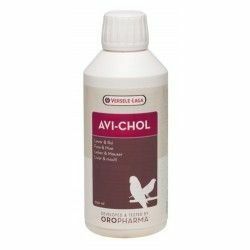 AMINO acids DL-methionine 30 000 mg L - Lysine 20 000 mg TRACE elements Iron (II) sulfate monohydrate - 2 500 mg of iron sulfate Monohydrate manganese - 5 000 mg of manganese Copper (II) sulfate pentahydrate - Copper 500 mg DIRECTIONS: One level measure (= 1 g) per 250 ml drinking water or per 100 grams of soft food. 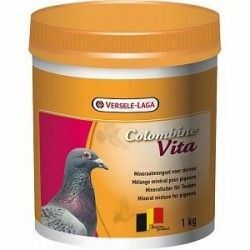 During the preparation of the breeding season (3 to 4 weeks) until the first egg has been laid: give daily. 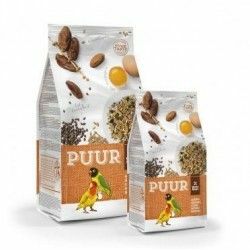 PACKAGING: Bottle of 200 grams. 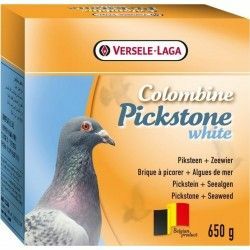 Colombine Pickstone White is rich in minerals and trace elements. Prevents the palomasvayan to the field. 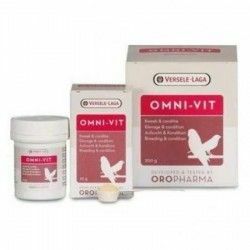 Oropharma Omni-Vit is a balanced blend of vitamins, amino acids and trace elements. 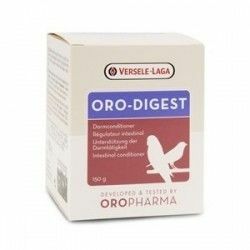 This dietary supplement is administrated for optimal condition, better results of rearing, optimal development of the chicks and in conditions of weakness or stress. Amount: 200 g.
Oropharma Glucose + Vitamins is dextrose enriched with vitamins. 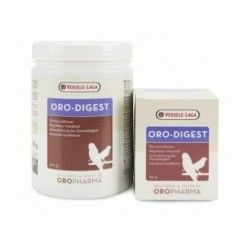 This dietary supplement is directly absorbed into the bloodstream and promotes recovery after exertion dle flight. 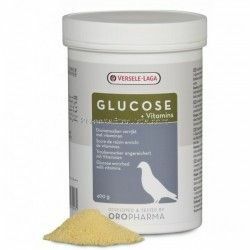 Glucose or dextrose are sugars natural. 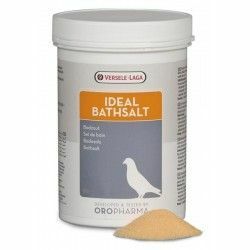 Orlux Nectar is a complete food for the hummingbirds. 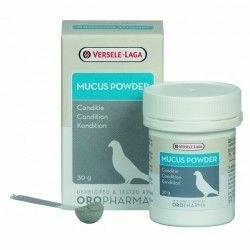 It is also an ideal food for additional tanagers. 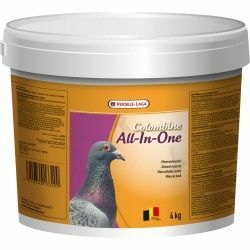 This product contains all the ingredients necessary to maintain an excellent state for these birds. Mix the powder with water. Update every day in hot weather, refresh twice a day. 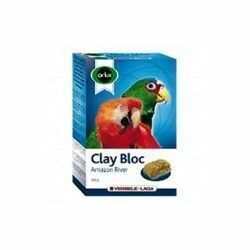 Versele Laga Orlux Block Mineral clay Amazon 550g for large parakeets and parrots. 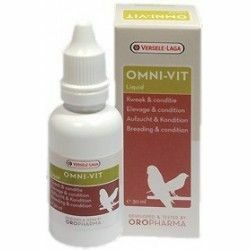 Oropharma Omni-Vit Liquid is a liquid mixture of vitamins and amino acids. 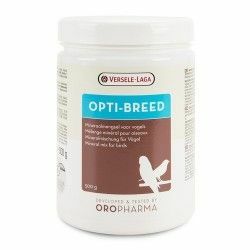 This product is especially indicated for breeding and physical condition. Oropharma Muta-Vit Liquid is a liquid mixture of vitamins and amino acids enriched with methionine and cysteine. 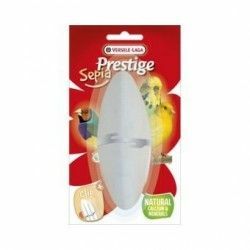 This product is especially indicated for the moult. 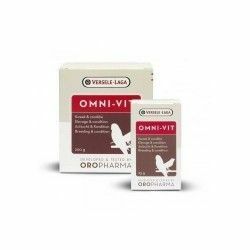 Oropharma Omni-Vit is a balanced blend of vitamins, amino acids and trace elements. 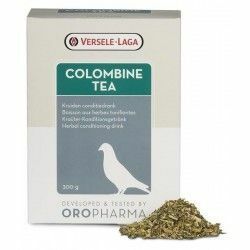 This dietary supplement is administrated for optimal condition, better results of rearing, optimal development of the chicks and in conditions of weakness or stress. 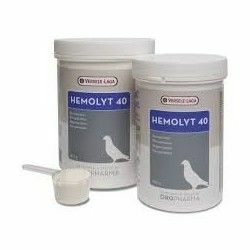 Amount 25 gr.